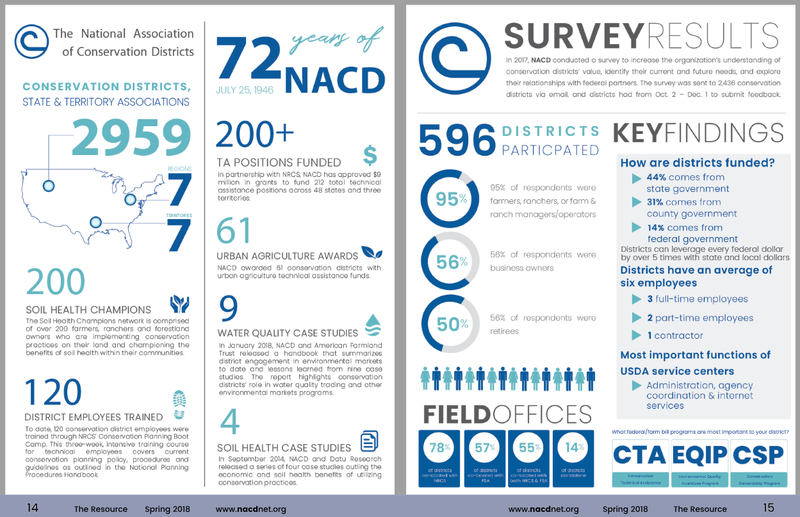 NATIONAL – On March 31, NACD announced over 200 positions funded in partnership with the Natural Resources Conservation Service (NRCS) to deliver technical assistance to landowners in 45 states and three territories. The majority of the work carried out with these grants is devoted to conservation planning and getting Environmental Quality Incentives Program (EQIP) work accomplished. Several of the positions operate statewide or in more than one conservation district. 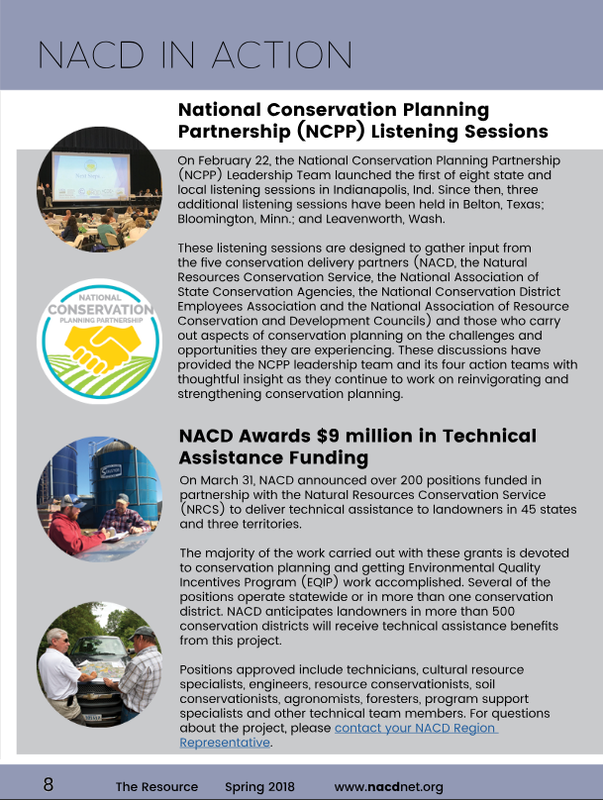 NACD anticipates landowners in more than 500 conservation districts will receive technical assistance benefits from this project. Positions approved include technicians, cultural resource specialists, engineers, resource conservationists, soil conservationists, agronomists, foresters, program support specialists and other technical team members. For questions about the project, please contact your NACD Regional Representative.